Linders Specialty Company can roll sheets and plates up to 10’ wide and 5/16” thick using our Roundo PS205 plate roller. We can also do thicker sections in narrower widths. For example, ½” plate 24” wide can be rolled down to a 32” diameter. We have extensive experience rolling cones and troughs as well. 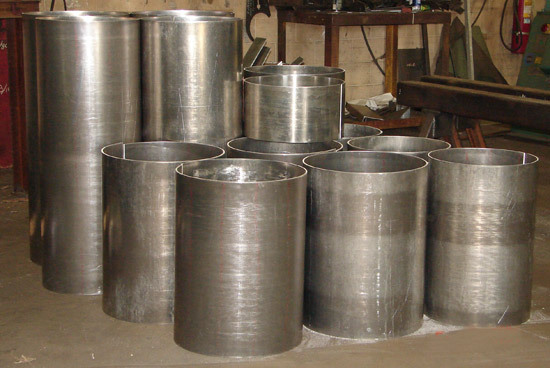 Our experienced staff is trained to handle all types of materials from steel to stainless steel, Inconel, aluminum, brass and bronze. 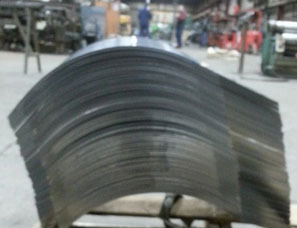 We keep the hardened rolls clean to stop contamination between jobs, not always an easy task. Our CAD staff is well-educated in the special requirements for cone layout and trimming to provide the most accurate and smoothly rolled cones possible. Our Acrotech urethane production roll has capabilities like no other. It is the largest and widest machine of its type available. 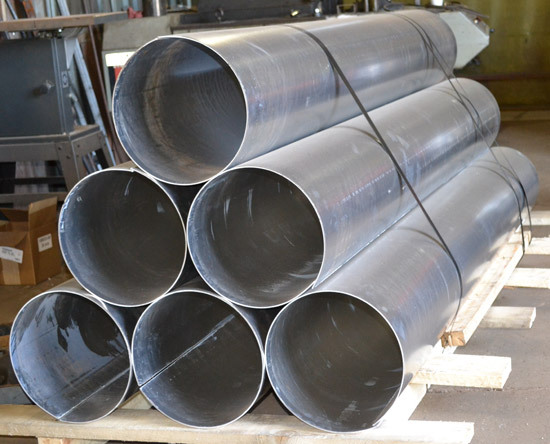 We ordered it equipped with additional smaller top rolls for rings down to 2 ½” inches in diameter. It can roll parts with no flats in up to 3/16” thick mild steel or ¼” thick aluminum up to 30” wide. If you’ve got a perforated part that needs to be rolled then this is the machine to use and we are your vendor. Typical three point rolling machines will leave kinks or require secondary operations to remove fillers to get a smoothly rolled part. This machine does it in one quick operation. By making a low cost mandrel for each part, repeatability and low cost is achieved through high-speed production. Prototypes can often be made using existing tooling that is sufficiently similar. Railroad Equipment Fab and Maintenance, etc.